Product categories of Kitchen Utensils, we are specialized manufacturers from China, Kitchen Utensils, Kitchen Utensils Set suppliers/factory, wholesale high-quality products of Cooking Utensils Set R & D and manufacturing, we have the perfect after-sales service and technical support. Look forward to your cooperation! 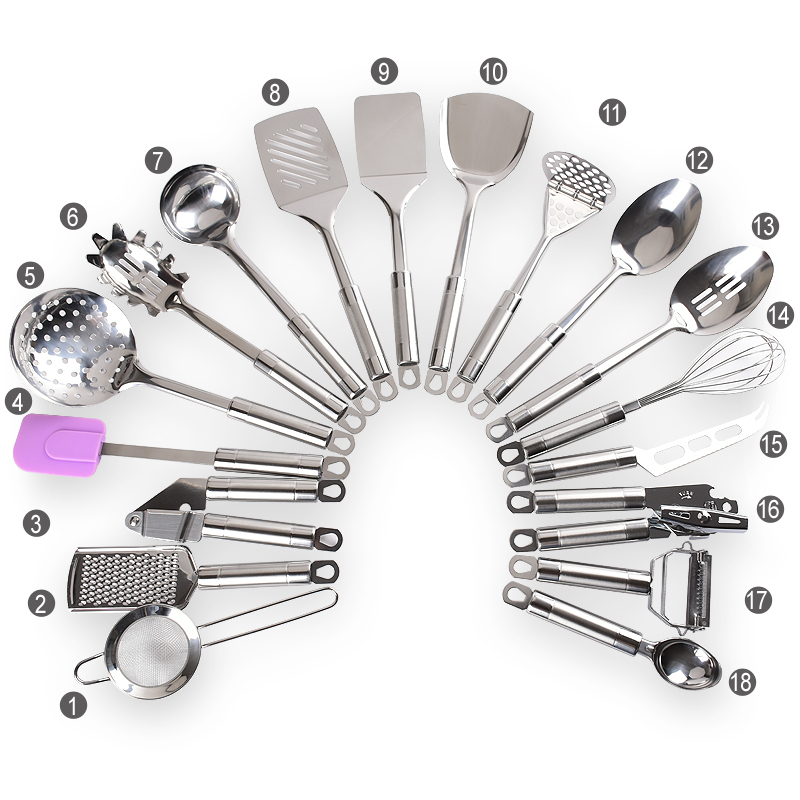 Kitchen Utensils made of stainless steel,nylon,PP,wooden,silicone or rubber.It is included strainer,ginger grater,Garlic Press,spatula,skimmer,pasta server,ladle,slotted turner,solid turner,fish turner,Potato Press,solid spoon,slotted spoon,whisk,knife,Can Opener,3 in 1 peeler,ice cream scoop,measuring spoon set,measuring cup set,Food Tongs. It keeps you ready to prepare countless things in the kitchen. Set will provide the perfect incentive to begin preparing meals at home and develop your cooking skills along the way.